Two extraordinary football stories are set to duke it out for the premiership cup. Here’s the Xs and Os that will shape the outcome. Football is chaos, manifest in millions of actions and reactions across 120 odd minutes of kicks and handballs, marks and tackles. But amidst it all there is some order, some signal which we can look to as a way of helping work out who holds the advantage. Both West Coast and Collingwood are worthy, albeit perhaps surprising, grand finalists. Each has a compelling football tale to tell. But once the ball is bounced the stories don’t matter anymore; it’s all about who can execute their game plan better and for longer, and who can resist their opponent doing the same. Despite it being a grand final between two of the ‘powerhouse’ clubs – who combined hold about a third of the stored financial worth of the 18 clubs – the build-up has been more muted than the build-up to recent grand finals. That is perhaps a product of each club’s heft and status; West Coast played in a grand final three years ago, and Collingwood won its last flag in 2010. While each club has a great story to tell, it isn’t chasing a historic threepeat, breaking a decades-long hoodoo, continuing a modern rivalry or playing for its first premiership. There has, however, been plenty of talk about our first factor: the venue. Give me any argument about the MCG not being an advantage for a tenant club or not being a disadvantage for an interstate club and I’ll show you a terrible argument. Home ground advantage is an indisputable concept in sport – everywhere – and it applies in this situation. Every home team in every professional sport played on every continent performs better than every away team in every professional sport played on every continent on average over the long run. Indisputable. The ABC, picking up on the themes of Footballistics and additional commentary on the matter by some of the contributors, wrote an excellent explainer piece earlier in the week that should change the mind of any hold out. As the piece notes, what is up for debate is what causes the advantage to occur: home crowds, ground familiarity and travel are some of the common theories. The MCG had been a challenging ground for the Eagles prior to 2018. 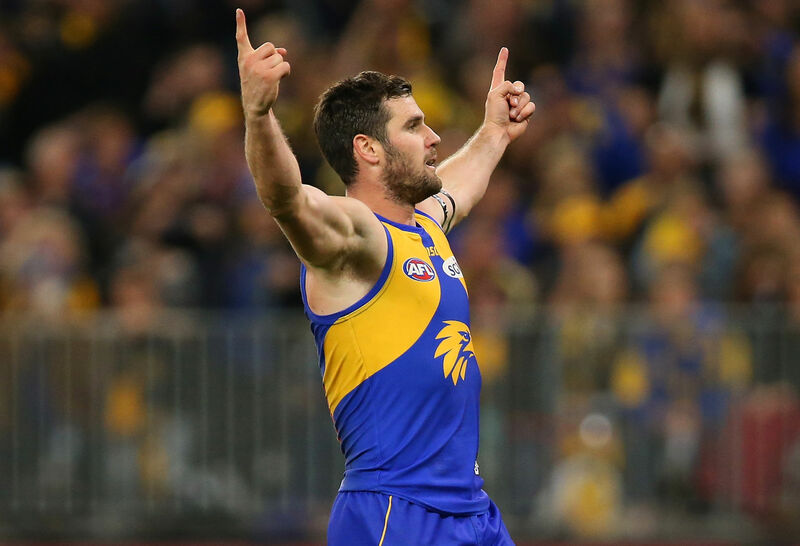 West Coast had won just one of their five games at the ‘G following the 2015 grand final loss, and that was a seven-point victory over Carlton. That form has possibly turned, albeit on a small sample: two wins in two games, including against the Pies in Round 17. One theory is Perth Stadium is of similar shape to the MCG; not quite as round around the middle but it is certainly wider and shorter than Subiaco Oval. And Collingwood hasn’t necessarily been at their best on their home ground in 2018. The Pies have an 8-6 record with a percentage of 113.5 per cent; their record against top eight adversaries at the MCG is 1-6 with a percentage of 80 per cent flat. Maybe home ground advantage isn’t all its cracked up to be for the Pies after all. Grand final matchups have been a strategist’s dream in recent years, and 2018 is no exception. In the blue and yellow corner we have the kick-mark West Coast Eagles, playing a game designed to counter the chaosball and smallball preferences sweeping the league. It’s not dissimilar to the way Adelaide tried to move the ball last year, albeit the Eagles are more content controlling the ball until they find a lane they like (where the Crows played more aggressively), and West Coast being a bit more defensively minded. In the black and white corner we have the run-chase Collingwood Magpies, who play for territory and treat the ball like a ticking time bomb that no one wants to be holding when the time comes for it to explode. Like West Coast, Collingwood’s game is built on the foundations of those who came before – including past Collingwood teams – but with a genuine smallball forward set and a deeper midfield than those who’ve come before. Both clubs can switch it up if required. 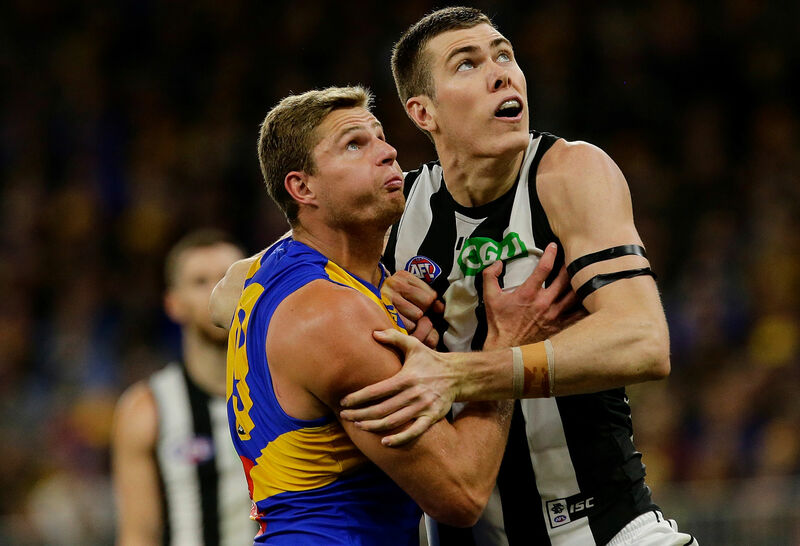 As we discussed on Monday, the Eagles midfield has dialled up two extraordinary efforts on the deck in its past two games; Collingwood kicked the ball as much as it has all year against Richmond on Friday night. The best feature of this chess match is both clubs will think the best way to win is to double down on their respective strengths; the strengths that exist as a natural counter to each other’s game. Fortunately we’ve seen this play out already, in the second qualifying final three weeks ago. 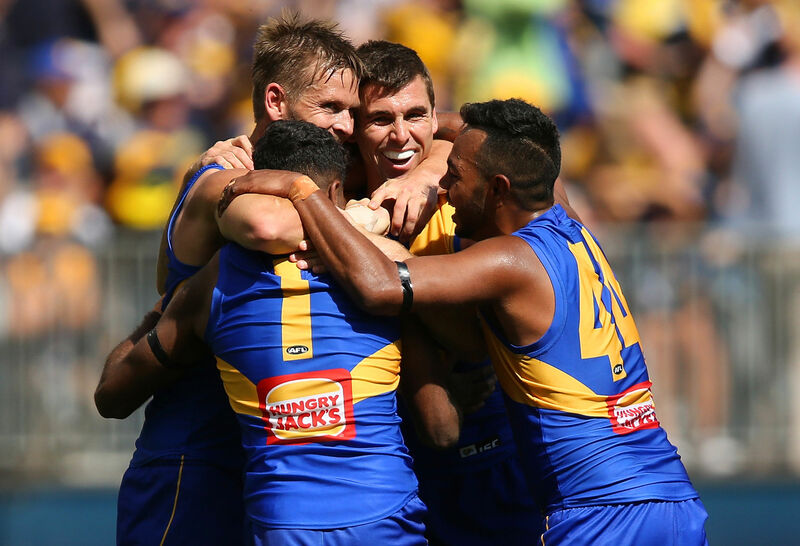 West Coast were in front early, Collingwood hit back and manage to wrest control of the game, and it took an uncharacteristically stoic effort from West Coast’s midfield to get them over the top. Collingwood’s tactical shift took Richmond by surprise last weekend. Will they look to disrupt West Coast’s plans by being a little more careful with the ball? They certainly weren’t in the qualifying final, committing a turnover roughly every four disposals (24 per cent, versus 18.4 per cent during the home and away season). Indeed, Collingwood’s fifth worst and third worst turnover rates have been recorded against West Coast in 2018. The Eagles are only the 12th-best turnover-creating team in the league when adjusting for opposition disposals. This could prove a fatal issue for the Pies if not addressed ahead of the game, for two reasons. First is the simple fact West Coast counterattacks with quick kicks to forwards held ahead of the play. This gives the Eagles the means to swiftly punish mistakes; word is the groundskeepers are still cleaning up the disembowelled guts of Melbourne from last weekend. Compounding this is the second consideration: Collingwood’s commitment to the ball in attack leaves their back line exposed in the event of quick turnovers. Overwhelming the opposition in attack is critical to Collingwood’s ability to score, but the Eagles are well placed to convert that strength into a weakness should Collingwood fail to take care of the ball. That’s not to say the Pies shouldn’t do what they do best. However, if West Coast hits them with the sort of frontal midfield force it has displayed in their past five quarters of football and the turnovers begin, Collingwood might need to turn to a bit of ball control to help settle down. 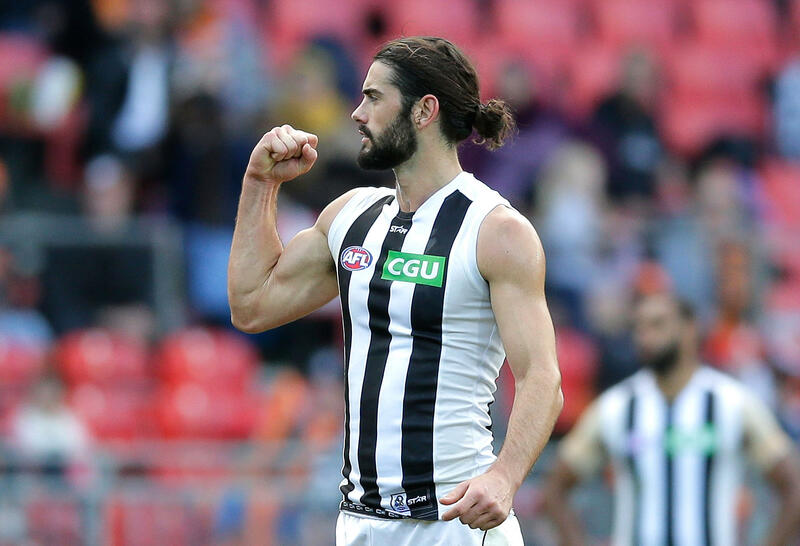 Either that or Collingwood turns to one of its clear personnel advantages: Brodie Grundy. Grundy was one of the best handful of players in 2018 (don’t let his Brownlow votes fool you), and looms as large over this game as any of the 44 players to suit up. That’s because he’s excellent, but also because the ruck is a bit of a sore spot for West Coast. Scott Lycett and Nathan Vardy. Last time out, the two Eagles combined for 21 disposals, 28 hitouts, four clearances and one goal. Grundy had 18 disposals, 48 hitouts, five clearances and no goals on his own. Lycett’s ruck work has fallen away precipitously in the back end of the year, the free agent winning more than half of his ruck contests just once since he missed Round 16’s game against GWS. Last time out against the Pies Lycett was involved in 42 contests, winning 14 hit outs. Vardy had been performing better albeit on fewer ruck contests, but has won just 36 per cent of his ruck contests in the past three weeks. In their two prior matchups, Grundy was involved in 65 ruck contests (Round 17) and 77 ruck contests (qualifying final) respectively. His season average is 71 contests. Getting closer to that season average, or going through it, would afford the Pies an ability to gain some extra territory from stoppages. And that may help lean against the turnover challenge West Coast will throw down. Without Brad Sheppard and with Will Schofield, West Coast’s defensive set is on the taller side of neutral. That looms as a potential source of advantage for the Pies. Sheppard went down in the qualifying final, and it meant Chris Masten was sent back to play a more defensive role in West Coast’s backline (rather than the flanker role he’s performed this season). He didn’t do much that showed up on the stats sheet, but he was essentially there to help lock up some space and help direct Collingwood’s ball movement away from the dangerous spot inside 50. West Coast has no natural match up for both Jaidyn Stephenson or Jordan De Gooey. Tom Cole gets one of them at all times, but the other will find themselves on Shannon Hurn, Chris Masten or another one of West Coast’s mid-sized players. That’s a problem for West Coast, because they are all slow on the deck. Collingwood’s plan will almost certainly be to try and create one on one mismatches with these two deep inside 50, and attempt to use their respective speed and acceleration to run West Coast’s defenders out of the game. 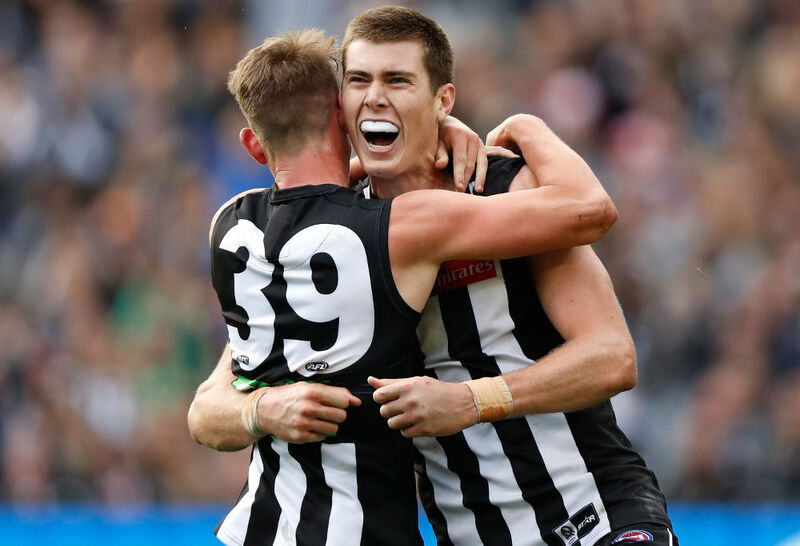 The Pies won’t kick long and high inside 50, because the Eagles own the air down that end of the ground – Mason Cox backing up from his other-worldly game against Richmond notwithstanding. While we’re on the topic of surprising forwards, Chris Mayne’s second half of the year has been superb, and there’s no natural matchup for him in West Coast’s defensive half given the need to contain so many threatening players. Mayne laid a team-leading eight tackles in the qualifying final, including three inside Collingwood’s attacking 50. He only needs that plus a couple of goals to be an influential player. There’s been some talk that Brody Mihocek will ostensibly act as a tagger on West Coast’s interceptor-in-chief Jeremy McGovern. That’s a smart play, particularly if the Pies manage to make him accountable and create even a little bit of doubt in McGovern’s mind. However I would expect coach Adam Simpson will instruct McGovern to play his natural game and make Collingwood force the issue. Mihocek kicked 2.3 last time out, and the same in Round 17. It’s an interesting little subplot in an area of the ground that looms large. You’ve seen the stat: West Coast is a stellar 12-0 (with a percentage of 151.5 per cent) when both Jack Darling and Josh Kennedy play. When just one of them played, the Eagles are 6-6 (with a percentage of 102.7 per cent). They duo aren’t the only factor behind that record – it also has to do with location of games, opponent and form – but the difference is pretty stark. The lads over at HPN Footy covered this well at the start of the finals series. Tyson Goldsack held Kennedy well in the first half of the qualifying final. Though it has to be said Kennedy was also extraordinarily rusty in his first game back from a lower leg injury, and kicked 2.4 in the second half of the game. He will certainly get the stopping task again, with aerial support from Jeremy Howe (who’ll attempt to roll off the resting ruckman as his primary match up). Tom Langdon looms as the likely Darling matchup given his relative mobility. The pair are so difficult to contain because they are both excellent leading marks – Darling only earning that title this year. West Coast’s forward line is adept at blocking and creating leading lanes for Kennedy in particular to work in, and if it isn’t working inside the stripe then they’re both happy to hunt further up the ground. If they’re both on point, it’s hard to see West Coast being kept to a relatively low score. In their respective preliminary finals, both West Coast and Collingwood battered their opponents with early pressure. That has been the Pies’ stock in trade in 2018: they’ve won 15 of 25 first quarters, and gone on to win all but two of those games (whereas they’ve lost six of the ten games they were trailing at the first change). Given the above, we know Collingwood will target the first five minutes of the game as their opportunity to disrupt West Coast’s plans and get the game they want. We saw that happen in the second quarter of the qualifying final, and it took the aforementioned effort from West Coast’s midfield to pull them back into the game. West Coast was sublime in its first quarter against Melbourne, but that was as much a product of Melbourne failing to show up. Indeed, just 18 tackles were laid in that first quarter, while the Eagles had 12 scoring shots. Three weeks ago the game was in something of a stalemate early, until the Eagles kicked the first three goals of the game. That was ultimately the margin. Grand finals tend to unfold like that. We have the early tension, before someone lands a decisive blow or two, and the game begins its ebbs and flows from there. Collingwood will know if it can turn that early tension into a couple of goals, it will be on the front foot and have a chance to get into its game. As implied by the column, this matchup has plenty of intrigue and tactical interplay. The above doesn’t include the generic midfield-centric analysis, because it’s fair to say whichever team can perform at its best through the middle will put itself into a sound position. Collingwood would appear to have the wood on West Coast on paper, but the Eagles midfield group has been on a tear recently which we must respect. Andrew Gaff would have been an equaliser, but alas. I see the midfield battle as a slight plus to Collingwood, but with a reasonable margin of error around it that it’s hard to predict which way it’ll go. However, it’ll all make for a compelling game, that I think will stay close for most of the afternoon. Ahead of the big boys getting involved, the market favours the Pies by 7.5 points, which is perhaps a reflection of the home ground advantage we discussed above and not much else. My prediction? Here’s a handful. West Coast by 18 points. Norm Smith Medal: Jack Redden. Collingwood will lead at halftime. Best of luck to all concerned. Except for Collingwood.